Rahgahs! – Without Jordy Nelson at his side, Aaron Rodgers had a terrible year. He only scored 32 total touchdowns, when the last three times he played a full season he scored 40, 41, & 47. Looking at those numbers is a huge reality check; 32 TDs is only a terrible year if your name is Aaron Rodgers, not if you’re any other QB in the NFL. So if A-Rod put up such solid numbers in an off year, what is he going to do now that Nelson is back? Score 40 TDs again probably, or at the very least many more than he did last season. Jared Cook at TE, Eddie Lacy back at weight and taking attention away from the passing game; I expect Rodgers to be the season’s best passer, scorer, and fantasy quarterback. What about Cam? – Well, Newton can’t be ignored, he scores a ton of fantasy points every season, but last year was an outlier. He scored 45 total touchdowns when he’s only ever breached 30 twice in his career. That means that you can’t expect him to repeat, especially not in rushing TDs, of which he has an unearthly 10. Someone in your Draft will take Cam too high, expecting another record-setting year, which won’t happen. If you back off and wait for someone else, you just might get the better deal. Bargains – If you’re searching for a steal later in the Draft, there are a handful of QBs you can count on to put up big totals (barring injuries of course), but who won’t break the bank. Eli, Big Ben, Palmer; these aren’t the sexiest picks, and I do think Palmer might take a step back due to age, but you could throw worse passers into your starting slot. If you go heavy on RB or WR, these bargains might be your men. 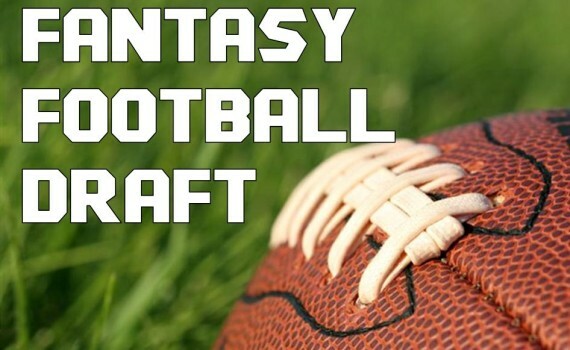 Deep Sleep – Looking to draft a QB even later? You aren’t out of options. Guys like Luck, Brees, & Wilson will go pretty much exactly where they should near the top of the list, and whoever gets them will have a solid starter, but there are choices further down the ladder that could work out just as well. Carr, Cousins, & Bortles didn’t have seasons to sneeze at in 2015, and could make for interesting options if you’re willing to take a chance that they repeat. Deflategate – I especially like those young kids if you happen to want to nab Tom Brady. He’s suspended for the first 4 games, is done appealing, and so will miss considerably fantasy time. But what about when he comes back? Brady is no spring chicken in the football world, but he is still consistently at the top of the list when the season ends. Yes you’ll have to do without him for a while, but when he returns he’s almost guaranteed to throw TDs left & right. If you can survive with someone like Blake Bortles on your bench for Weeks 1-4, you might just have the hottest QB in the league come fantasy playoff time. The Mighty – Oh how they have fallen. This next batch of guys used to be Top 5 candidates, but not any more. Rivers, Stafford, Dalton, Romo; I wouldn’t trust any of them with my team unless I had a strong backup plan. Whether getting old, watching the talent around them fade, or losing a coordinator, this crew could be in for a long year. Each has surprised with big numbers before, so it’s not impossible that they could find success, I just wouldn’t bet the farm on it. Fitzmagic – Now that he’s finally been signed as the starting QB for the Jets, you might be tempted to take a look at Ryan Fitzpatrick, especially after the solid season he had in 2015. Decker & Marshall benefited from the veteran finding some gas left in the tank, and so did fantasy owners, but how long can that last? I predict that he takes a step back this year, probably under 30 TDs, maybe under 4000 yds. When it comes to trusting old guys who kicked it into gear for one year, you can only push your luck so far. Supporting Staff – Bad teams don’t help up-and-down quarterbacks, and this next group fits the bill. Flacco, Cutler, Ryan; their clubs just aren’t finding enough success to help them put up big numbers, at least not enough for fantasy relevance anyway. As backups they could be nice fillers, but I had Ryan multiple years in a row, a mistake I’m done making. Young Guns – Don’t trust the kids either; none of them are going to win you a championship. Winston, Mariota, Bridgewater; they show flashes, sure, and they can be fun to watch. But you need consistency from your starting quarterback. Crunch the numbers perhaps if your league gives 6 points for rushing TDs and only 4 for passing; maybe one of these guys runs enough to be worth a spot on your roster. Otherwise, steer clear. Lastly – Some QBs haven’t even been announced as starters, and their teams are probably ones you should avoid completely, no matter who is named as the lead dog. Cleveland, San Francisco, Denver, Philadelphia, L.A.; does it matter who wins the job? Neither the #1 or #2 guy is going to lead you to victory, so you might as well ignore the position battles.